In July 2015, Spencer Holton was hiking the Clouds Rest Trail in Yosemite National Park with two friends when they had a conversation that would change his life. While taking in the stunning panorama at the top of the trail, they got to talking about other hikes they would like to do, including the Pacific Crest Trail, which stretches more than 2,000 miles between Canada and Mexico. They discussed the logistics of long-distance hiking, and one of Holton’s friends concluded that he would never be able to pursue a months-long trek because there was no one he trusted to store and send the necessary boxes of supplies he would need while on the trail. After the trip, Holton did some research and found no businesses that offered trail food, gear, and other resupply services to long-distance hikers. He saw an untapped market—but he was young, inexperienced, and without a college degree. Nevertheless, the idea was something he just couldn’t let go. 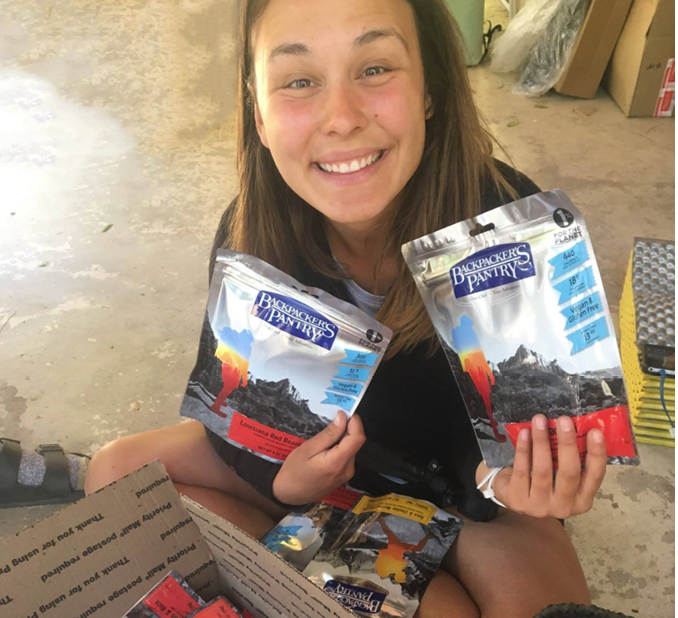 In April 2017, at age 21, Holton started Trail Supply Company, which delivers resupply services to long-distance hikers during their trip; the company packs, stores, and ships packages to exact specifications and specific locations, and also sells everything from food to footwear. Since its launch, the company has supported hikers from across the US and six other countries while drawing substantial website traffic to its online trail guides. For Holton, the launch of the business—before he’s even earned a diploma—testifies to a stubborn streak and the boost he received through the university. Shortly after he came up with the idea, Holton approached Kate Harmon, undergraduate program manager for the Lundquist Center for Entrepreneurship. The center trains students in areas such as business planning and the commercialization of new technologies, and it also matches students with advisors and professionals to explore the feasibility of new ventures. Harmon encouraged Holton to enter a business pitch competition and, to his disbelief, he won it, earning a $1,500 prize. In the audience of that competition was a representative from the Eugene arm of the Regional Accelerator and Innovation Network (RAIN), an organization that partners with the university to match entrepreneurs with investors and resources. 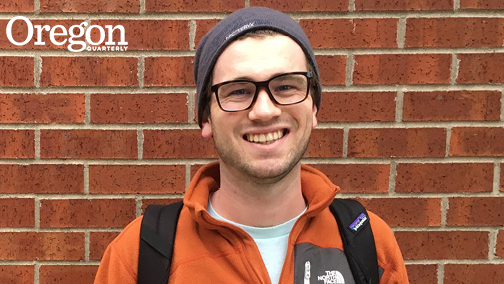 Holton was recruited into the program, becoming the first current UO student in RAIN and working alongside entrepreneurs and business professionals as he pursued his idea. Spencer gained further support for his idea when he secured a $5,000 RAINMaker Award. The Paul Troiano RAINMaker Fund was established in 2014 by Paul Anthony Troiano, a former UO student who went on to become a successful entrepreneur himself, founding the music licensing company Rumblefish out of his UO dorm room. His desire to give back to students like Spencer inspired Paul to create the RAINMaker Awards in tandem with training in the RAIN program. Through RAIN, Holton also brought on two partners, both software developers. While Holton is quick to acknowledge the support of others, he recognizes that business success is ultimately determined almost entirely by the entrepreneur’s drive, skill, and willingness to sacrifice. His mettle was tested early on, by a mishap with the shipment of his very first resupply box. Following a misunderstanding regarding shipment dates, Holton realized that the package—destined for a resupply point just 40 miles north of the Mexican border—would not arrive on time. Within hours, he was on a plane from Eugene to San Diego. From there, he rented a car and drove to the University of California at San Diego, where he stayed overnight with a friend he hadn’t seen in years. At 6:00 a.m. the next morning, Holton drove 60 miles to Laguna Mountain Lodge and hand-delivered Trail Supply Company’s first shipment. As Holton develops his business, he continues to encounter challenges that pop up seemingly every day—and must be addressed just as quickly. Such is the life of the entrepreneur. Mai Amalie Bak is a journalism major and member of the class of 2018.